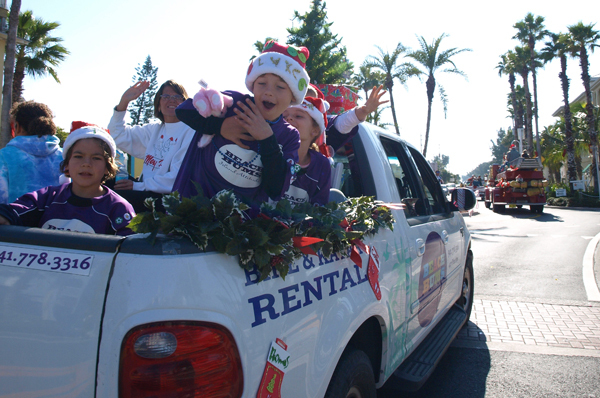 Beach Bums’ entry in the parade includes a truck carrying its soccer team, as well as a fleet of electric bicycles and golf carts. 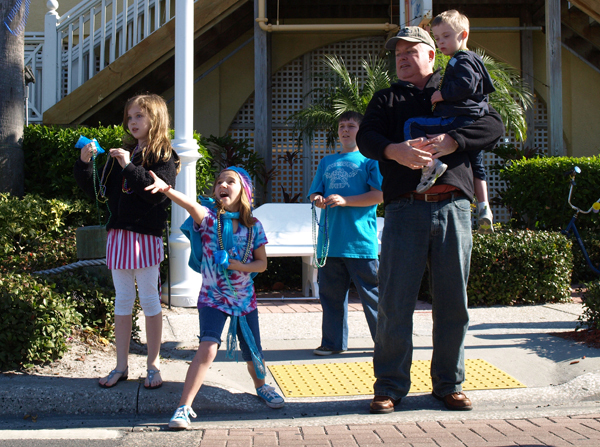 The crowd near Bridge Street in Bradenton Beach cheers for beads during the Dec. 11 Christmas parade presented by the Anna Maria Island Privateers, the nonprofit group that is celebrating its 40th anniversary. 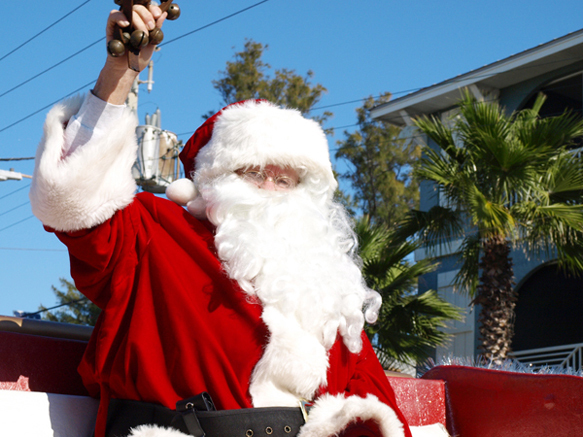 Santa waves to the crowd from the parade stern, leading his followers to the party at Coquina Beach where each year he hears the Christmas wishes of children. 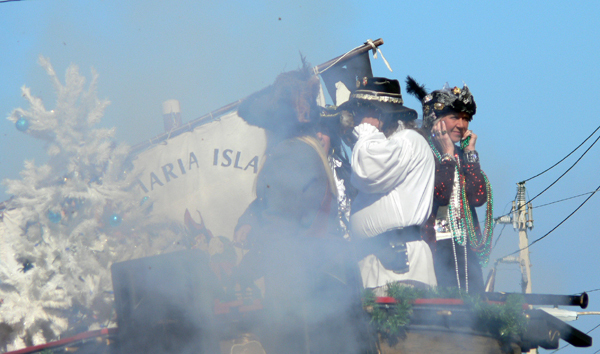 Xmas parade smoke, The cannon blasts to announce the arrival of the annual Anna Maria Island Privateers parade Dec. 11. 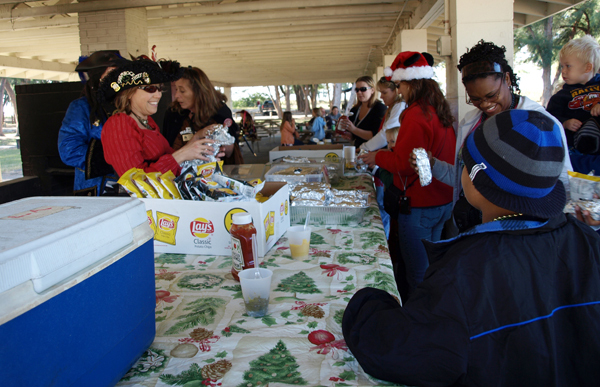 Privateers serve hot dogs, dressed with much care by diners, and other party munchies at the post-parade party at Coquina Beach. 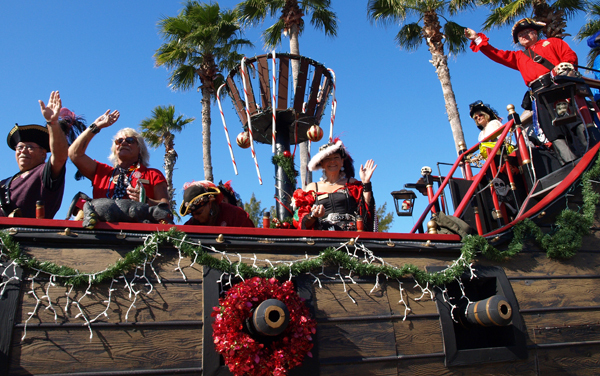 The Anna Maria Island Privateers at the helm of their annual Christmas parade Dec. 11, which the nonprofit capped off with a party at Coquina Beach. 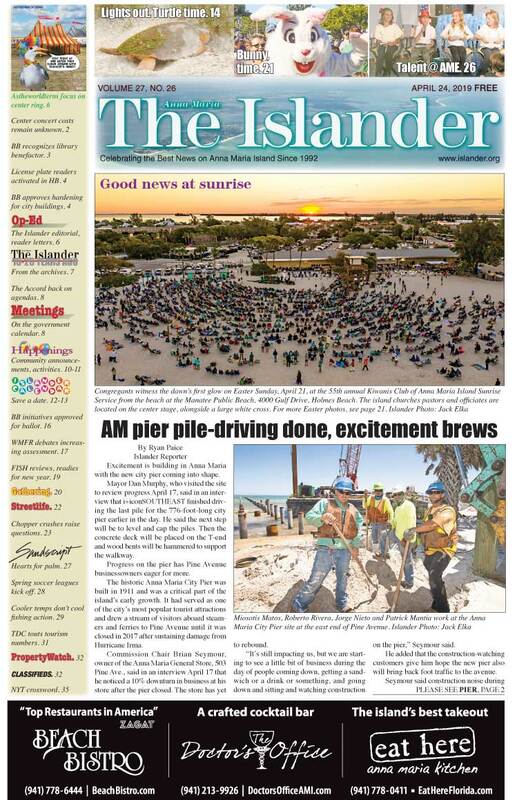 The parade began at Bayfront Park in Anna Maria and continued down the Island to Coquina Beach in Bradenton Beach. 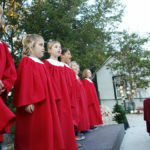 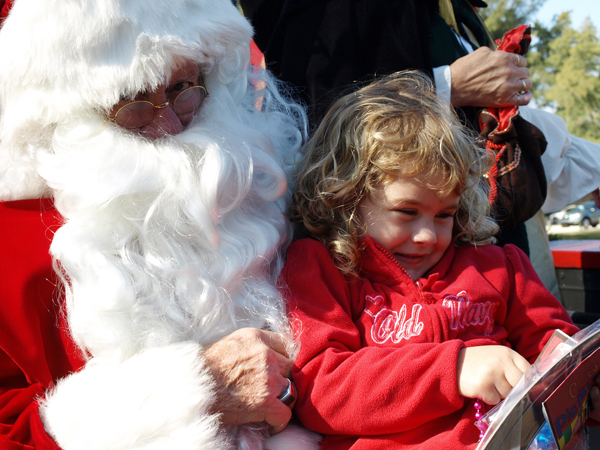 At Coquina, the krewe hosted a lunch and party and visits with Santa for children.